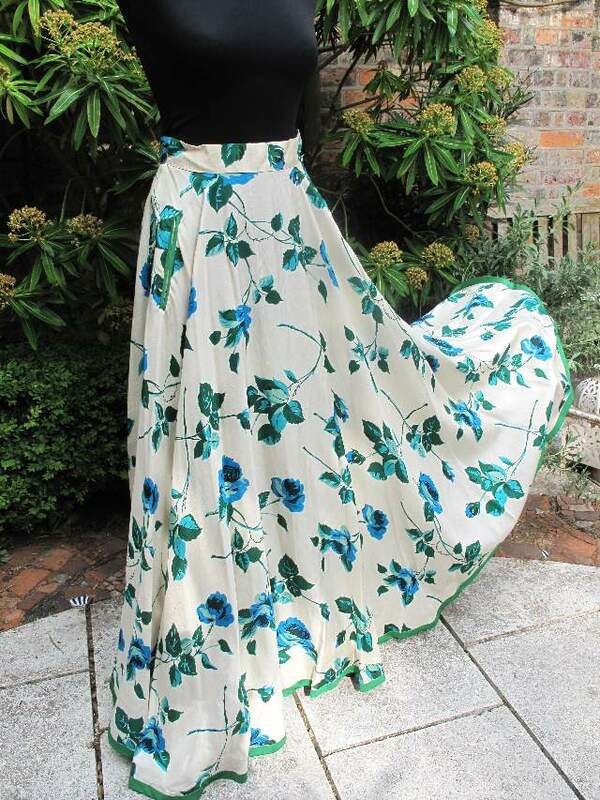 1940's Pure silk rose print vintage evening skirt. 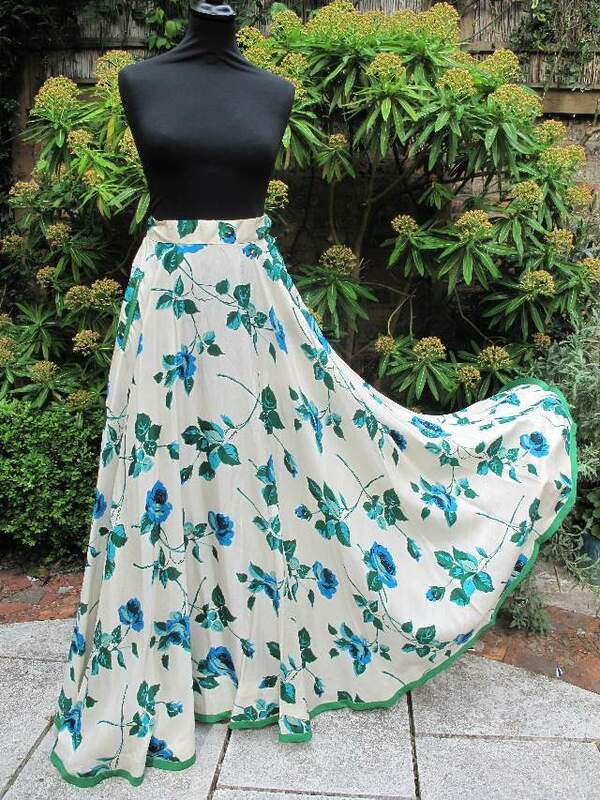 The skirt is beautifully made in pure silk, is full length and fully circular cut. 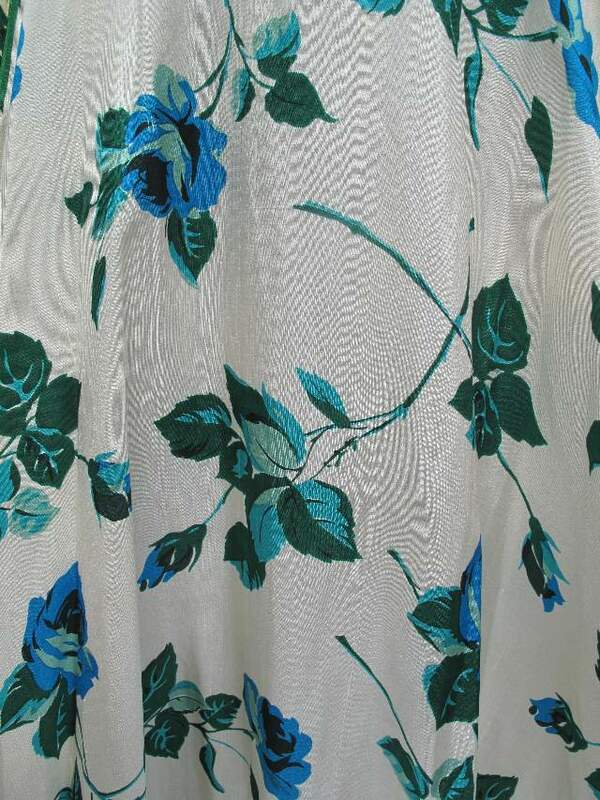 The hem has a 1 inch emerald green binding, stiffened with crinoline (millinery netting) an old couture trick to to give the hem extra swirl! 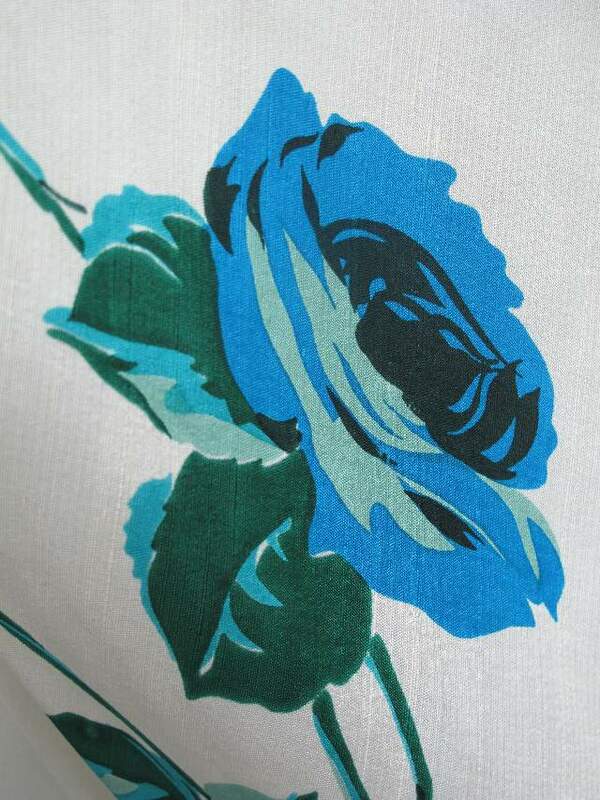 The print is classic 1940's roses in jade, emerald, turquoise, leaf and bottle green on an ivory ground. 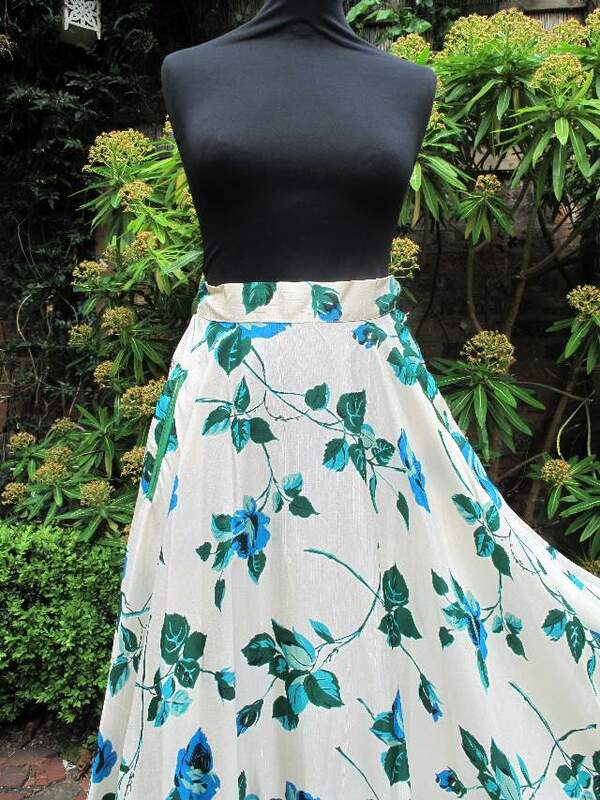 This piece is a great example of a classic style of yesteryear, looking completely new and fresh now. 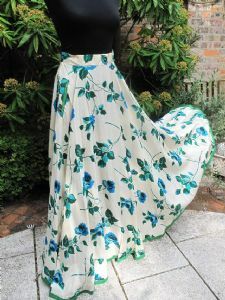 Styled with a simple top, this looks stunning!